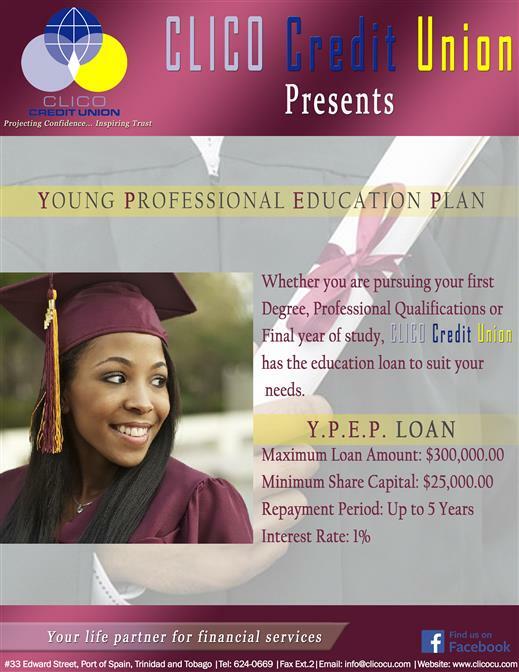 Young Professional Education Plan - Clico Credit Union. Projecting confidence...inspiring trust. The Young Professional Education Plan (Y.P.E.P.) is CLICO Credit Union’s way of helping to ensure that our customers have the opportunity to continually improve their education and competency levels. Interest rate is 1% on reducing balance.